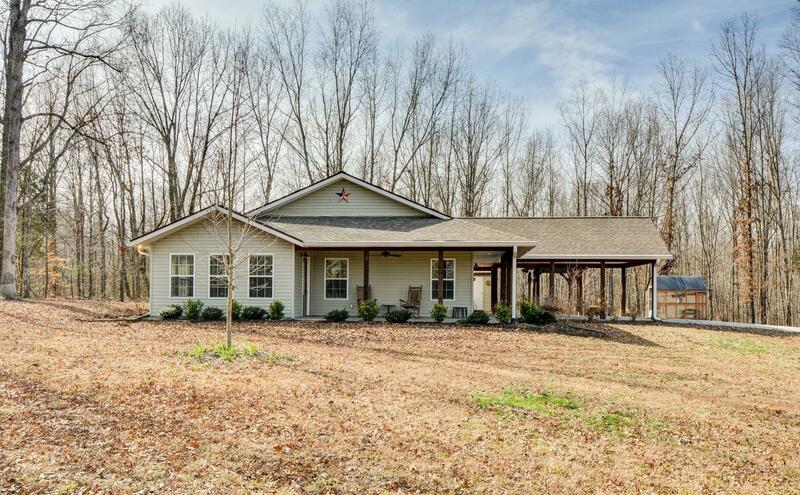 ONE LEVEL HOME NESTLED ON PRIVATE, WOODED 5 ACRES! HANDICAP ACCESSIBLE NO STEPS! Carport - Covered Porches- Pagoda-Shed-Green House ALL REMAIN-OPEN FLOOR PLAN-Custom Cabinets-Desk-SS Appliances ALL REMAIN INCLUDING WASHER/DRYER & FREEZER - Gas Fireplace-Master w/handicap tile shower-LAMINATE FLOORING - Built by Mennonites!